Rear Admiral Gneckow was born June 28, 1938 in Grand Island, Nebraska. He graduated from Boise High School, Boise, Idaho in 1956 before attending the University of Idaho. Graduating in 1960, he accepted a commission as an Ensign in the United States Navy and reported for his first duty aboard USS Taylor (DDE-468), a destroyer home ported in Pearl Harbor, Hawaii. 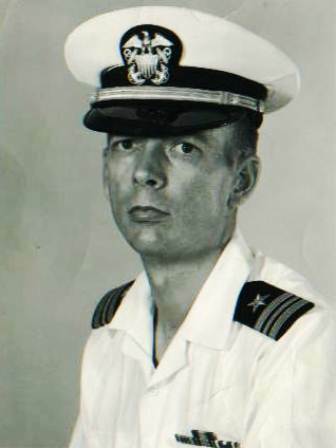 Rear Admiral Gneckow also served as the missile officer aboard the USS PREBLE (DLG-15) before his first shore assignment in 1964 when he became an instructor for officers at the Guided Missiles School, Virginia Beach, Virginia. In 1966 he returned to sea to become the weapons officer on the USS Decatur (DDG-31), a Long Beach, California based guided missile destroyer. Following a shore assignment as TARTAR Missile Program Manager at the Bureau of Naval Personnel in Washington, D.C., the Admiral attended the College of Command and Staff at the Naval War College, Newport, Rhode Island. After graduation he reported for duty as executive office of the USS Waddell (DDG-24), a San Diego home ported guided missile destroyer. While serving aboard the USS Waddell he participated in numerous combat operations off the coasts of North and South Vietnam, receiving the Bronze Star with combat "V", the Combat Action Ribbon, and various personal and unit decorations. In 1973, Rear Admiral Gneckow accepted command of the USS John S. McCain (DDG-36), deploying to the Western Pacific on several occasions. Following his first command, he and his family moved to Yokosuka, Japan, where he served as surface plans officer for the U.S. Seventh Fleet aboard the cruiser USS Oklahoma City (CLG-5). Returning to the Naval War College at Newport, Rhode Island in 1977, he attended the College of Naval Warfare prior to becoming an instructor for the international officer students at the Naval Staff College. Read Admiral Gneckow took command of the Charleston, S.C. based guided missile cruiser USS Richmond K. Turner (CG-20) in 1980 and served as her commanding officer for three years. 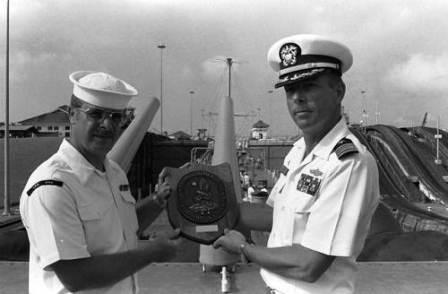 During his command USS Richmond K. Turner was awarded the Battle Efficiency "E" for sustained superior battle readiness. In 1983 Rear Admiral Gneckow was selected to become the first commanding officer of the World War II battleship Iowa, scheduled for reactivation and modernization in Pascagoula, Mississippi. Accepting command when USS Iowa was commissioned in 1984, he served as her commanding officer for two years. During his command, USS Iowa fulfilled important political missions in the Caribbean, Central America, and the Baltic Sea including many Head of State visits and four transits of the Panama Canal. In addition, Iowa was winner of the Battle Efficiency "E" and the Battenberg Cup, awarded annually to the "Best ship in the Atlantic Fleet". Following his promotion to flag rank in 1986, Rear Admiral Gneckow served as Deputy Director of Current Operations, National Military Command Center, Joint Chiefs of Staff, Washington, D.C. In 1987, Admiral Gneckow was assigned to duty as Commander, U.S. Naval Forces South, with headquarters in the Republic of Panama. He served in this capacity for three years during which time her served as the Naval Component Commander for the Commander in Chief, U.S. Southern Command. In 1989, Admiral Gneckow's forces participated in "Operation Just Cause", the liberation of Panama. 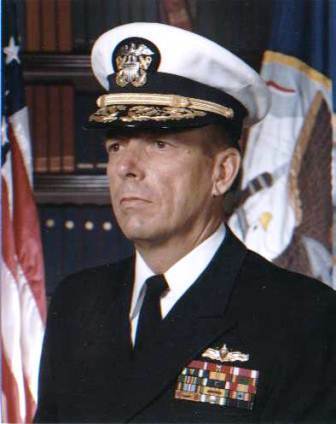 Admiral Gneckow retired in July of 1990. He and his wife Pat now live on a small farm near Golconda, Illinois.